Provincial and territorial ministers of health hold annual meetings to share information and collaborate on topics of mutual importance. The CFNU hosts a ministers’ health care policy event tied to these meetings, where we bring in world-leading experts to present the best available evidence to Canada’s health ministers to build effective solutions for health care. The event also provides an opportunity for health ministers to meet with nurses’ union leaders and to hear the perspectives of frontline nurses on important issues of the day. Previous topics for the CFNU policy breakfasts include creating nurse-led home care systems, establishing national standards for quality and safety in patient care, and raising nurse staffing ratios. 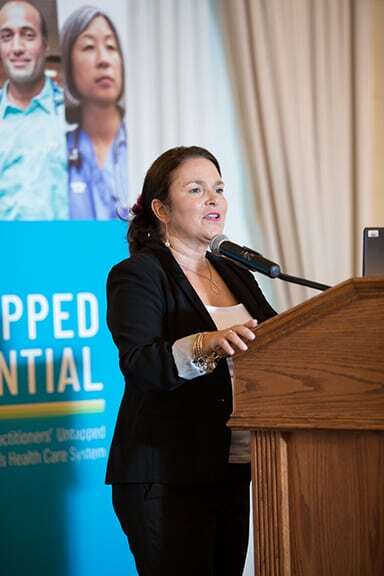 At the most recent Health Ministers’ Summit in Winnipeg, the CFNU hosted a breakfast policy briefing that featured the unveiling of a landmark CFNU report entitled Fulfilling Nurse Practitioners’ Untapped Potential in Canada’s Health Care System. 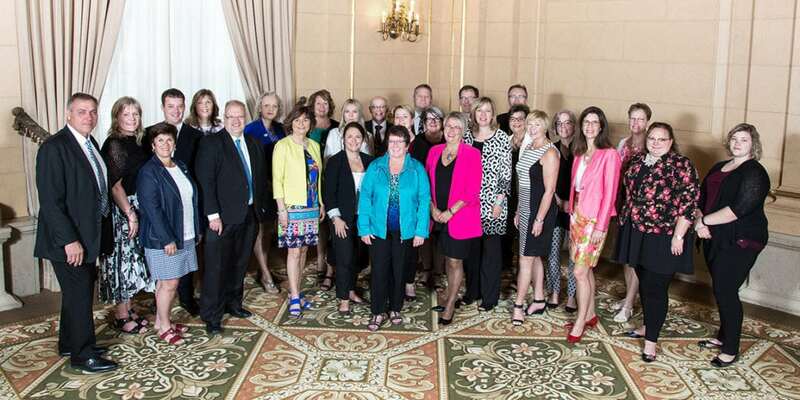 The report includes the results of the largest-ever national survey of Nurse Practitioners (NPs), shared with policy makers at the Fort Garry Hotel during the annual federal, provincial and territorial health ministers’ summit. Manitoba’s Minister of Health, the Hon. Kelvin Goertzen, co-hosted the event with Linda Silas, CFNU President. Silas outlined how the study’s findings reveal that NPs can be the solution to Canada’s long-standing shortage of primary care providers, access and wait times issues, especially within underserved populations, communities and settings. Silas provided recommendations to the health ministers for how governments can tap into the potential of NPs in their provinces and territories.